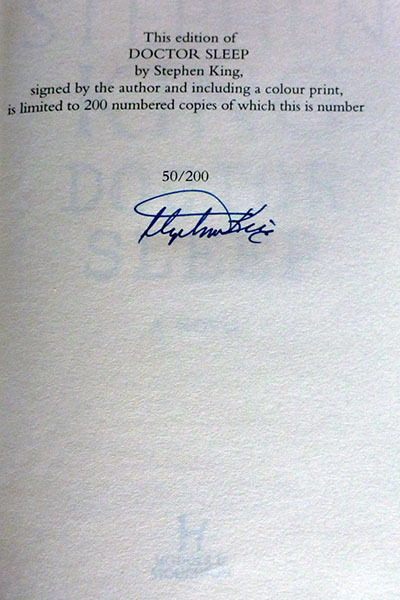 In a very unusual move, the 200 copy edition could only be ordered/shipped to an address OUTSIDE the North America. As such, US collectors found themselves scrambling to try and secure copies from friends or other collectors who lived in other countries & would agree to then ship extra copies to their buddies in the USA. For collectors living outside of the UK in countries like Australia & New Zealand, high shipping and foreign transaction fees put the publishers price of the book at closer to £250 ($400). These factors may contribute to higher than usual resale prices on the secondary market.